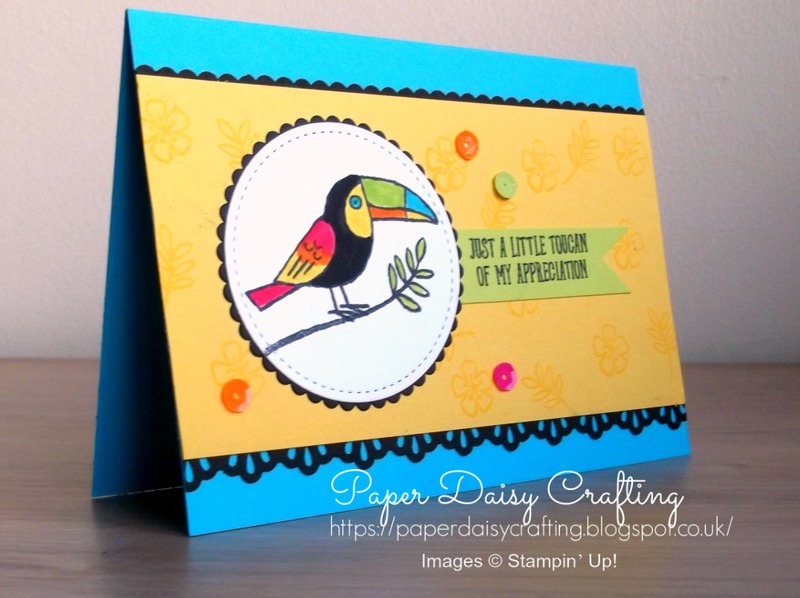 Well later than promised but better late than never, here is the video tutorial for the card I posted for the Pootlers blog hop on Saturday. Just click HERE or on the image below. I explained how to make the card in my post on Saturday which you can find HERE or you can watch the video by following the links at the top of this post. I'm still undecided which is my favourite. Which is yours? I just want to take a moment to thank everyone who has already ordered from me since the start of Sale-a-bration. 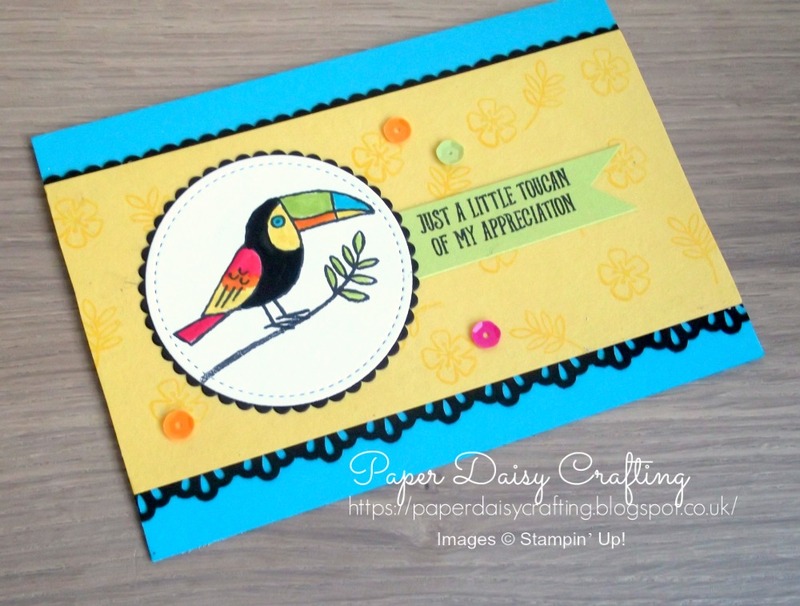 I'm so appreciative of all my customers and am always thrilled when someone chooses me as their demo. 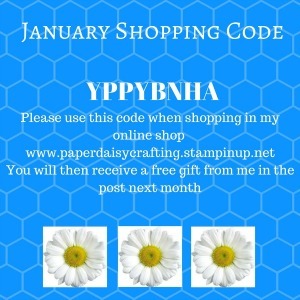 Lots of you have already used my January Shopping Code and so can look forward to a free gift in the post at the beginning of February. And as well as that, inside your package will also be a set of 5 handmade cards as promised previously. Just a reminder of why Sale-a-bration is such a fantastic time to place an order. Until March 31st, every £45 spent gets you a free choice from a special Sale-A-Bration leaflet. 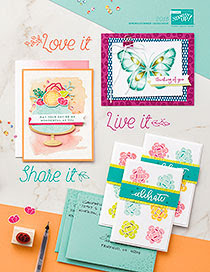 Packed with exclusive stamps and papers, ribbon bundles, card kits, scrapbooking goodies (and even a special Big Shot die set this year!) there are sure to be multiple things on your wish list. NEW this year are two BIG items you can get free with £90 purchases. And most of these items will be not be available to purchase - the only way to get them is to earn them for free with a qualifying order. Only the die set will be carrying over to the next catalogue. Not only that but you can earn the freebies for every £45 you spend - so spend £90 and choose two free items (or one of the new bigger cost items), spend £135 and choose three - and so on. If you don't already have a copy of the new Spring Summer 18 catalogue, our bumper Annual catalogue or the Sale-a-bration brochure, just let me know and I'll be more than happy to pop them in the post (for free!! ).